In 2012, Laura Scott, author of Two is Enough, pioneered film discussion of the childfree choice and couples who make it in her documentary, The Childless by Choice Project. Since then, more films about the childfree have been released or are in the pipeline. This year film, Maman? Non merci! 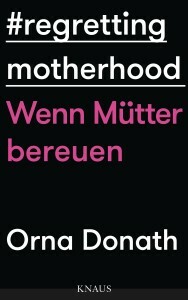 (roughly translated as Being a mom? No thanks!) 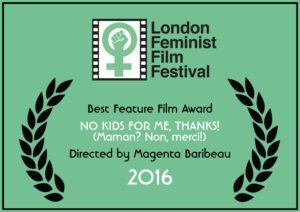 by the 2014 Childfree Woman of the Year, Magenta Baribeau, won the Best Feature Film Award at the London Feminist Film Festival! Check out the trailer Here. In 2016, filmmaker Maxine Trump continued her work on the production of her documentary, Childless or Childfree? It’s Your Choice. Track her progress and get updates on the film Here. We hope to see a screening next year at the 2017 NotMom Summit, including interviews with attendees and presenters at the first Summit in 2015 (I was a presenter at the 2015 Summit and will be in 2017!). Then there is filmmaker, Therese Shechter, who is currently in production for the documentary, My So-Called Selfish Life, which “focuses on how women who choose not to have children are creating their own culture and pushing back against a society that thinks they should really reproduce already.” Learn more about her film, and track its production progress Here. In addition to the many books out there on the childfree, seeing more films taking on this subject is adding to the education of this choice and those who make it, and contributing to the evolution of its societal acceptance. Then there are a good number of writings that speak directly to pronatalism but don’t (and should!) use the word itself, like this smart article by Olivia Campbell, “The Century-Long Battle to Disprove the Myth That All Women Want Children.” In it Campbell talks about psychologist Lena Hollingsworth, who saw through the “social devices” of pronatalism, which I discuss at length in The Baby Matrix. 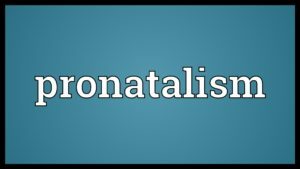 When it comes to the use of ‘pronatalism,’ when did I feel most thrilled this past year? When I saw scholar Michele Goodwin talking about pronatalism directly on the PBS show, To the Contrary. In the episode, “Trump vs. Clinton – Race, Gender & Politics; Pronatalism,” Goodwin talks about society’s continued “hyper-focus” on fulfilling the role of motherhood-her comments are not to be missed. Watch it Here. I feel this is one of the biggest positive trends in 2016. It is so important that real talk about parenthood become more commonplace, and not what pronatalism has dictated for years – that it’s taboo to say anything negative about the parenthood experience. This past year we have seen another positive trend – much more talk about the unfairness women experience when they want a sterilization procedure. 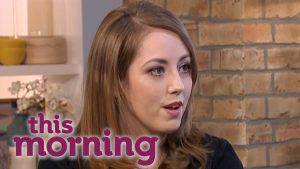 The well-publicized story of Holly Brockwell finally winning her battle to become sterilized made many headlines, spurred lots of discussion, and she appeared in more media than anyone I have seen before who had experienced this discriminatory, yet common situation. 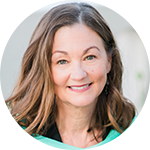 Stories of medical paternalism made the Ted Talk world as well: Check out writer and social justice advocate Christen Reighter’s story and presentation at TEDxMileHighWomen Here. We saw other writings on medical discrimination out there this year too; this one also includes other forms of discrimination the childfree can commonly face: “Silent Culture War: Exposing Discrimination Against Childfree People,” by Shannon Barber. Last year I talked about a trend of less adversarial tone between the mom and non-mom camps. In general I feel this has continued in 2016. We’ve seen a good number of pieces this year with the theme of understanding the other “camp,” as it were. One of my favorite articles by a mom about her non-mom friends was, “I Needed My Non-Mom Friends More Than Ever After Having Kids,” by Gemma Hartley. When it comes to the childfree choice, overall it and those who make it continue to be more understood each year. In the big picture, this year, the trajectory of societal acceptance has continued to tick upward. Here’s to more of this in 2017! How can you be part of it? 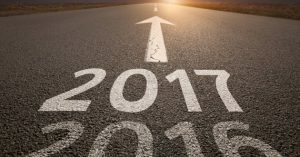 Here are 3 childfree new year resolutions I wrote in 2012 that continue to be tangible things to do! I’m looking forward to seeing those documentaries. I’m most excited about non-moms and moms communicating more effectively so I’m happy that’s on the upswing. It takes a lot of understanding and empathy from both sides for sure! Great post.